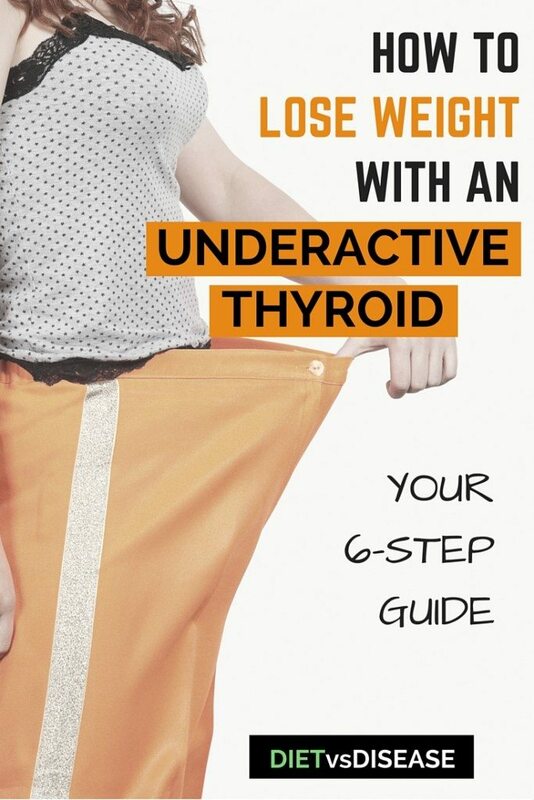 This guide covers the 6 fundamental steps required to successfully lose weight with an underactive thyroid. I wanted to begin with a nutrition recommendation, but correcting your thyroid medication first priority. If your medication is not helping to correct TSH and your T3 and T4 thyroid hormone levels, as well as relieve symptoms, then weight loss goes from difficult to impossible. Work with your health care provider to determine what type of medication is better for you, and also to find the optimal dose required. While Levothyroxine is on average more effective, Armour is reportedly much better tolerated. There is no difference between taking your thyroid hormone meds in the morning vs evening. Choose whatever is easier for you to have it on a fasting stomach (1, 2). Summary: It is fundamental to work with your doctor to explore what type and dose of thyroid medication is best for you. Until your thyroid hormone levels are corrected, weight loss is much more difficult. Carbohydrates are not inherently bad for you. That is, they do not make you fat or sick on their own (I wrote in detail about it here). It always comes back to total calories consumed. That said, carbs in the form of added sugars and highly refined starches are unhealthy and unnecessary. They offer almost zero nutritional benefit (known as “empty calories”) and make up a large portion of the excess calories we consume. 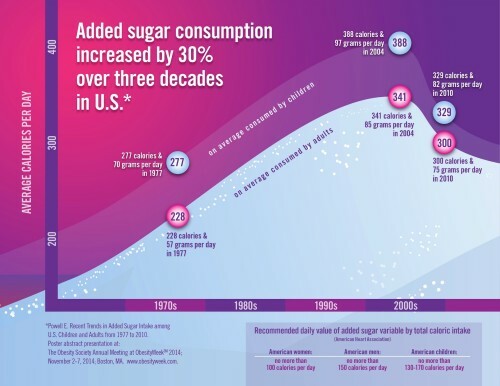 In fact, the average American adult’s consumption of added sugar increased by more than 30% in the last 30 years, with children consuming approximately 20% more. This was illustrated below by Obesity.org. Fortunately those numbers have began to reverse; a trend that needs to continue. 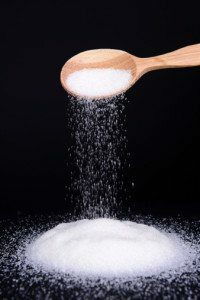 Nevertheless, cutting back on added sugar is still the most simple and direct way to cut out excess “empty” calories. This is done by limiting intake of junk foods, flavoured drinks (including juice), alcohol, white bread, most cereals and muesli bars, and a good portion of packaged food in your supermarket’s “health food” aisle. That includes gluten-free junk food… it’s still junk food. Now it’s unrealistic (and unfair) to expect yourself to completely avoid added sugar every day of the year. 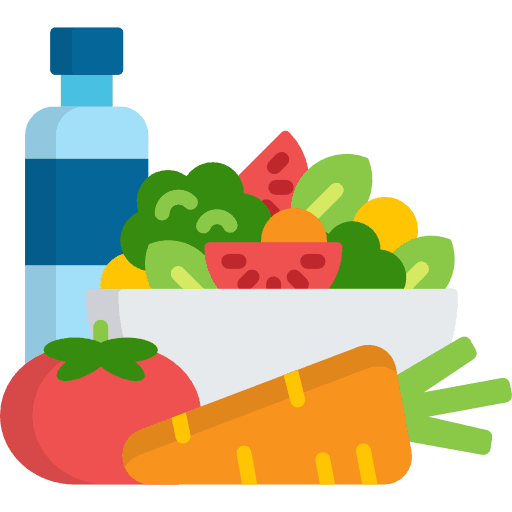 But you need to begin taking actionable steps that help you cut back and form healthier habits. Start by not having junk foods at home, or at least keep them out of sight in a cupboard you never use. Summary: Added sugar makes up a large portion of the excess calories an average person consumes each day. Cutting down on your intake is critical if you want to successfully lose weight. If you want to lose weight with an underactive thyroid, these should be the foundation of almost every meal you make, and plated first when serving. The main benefit of protein is that it’s much more satiating than both fat and carbs. That is, it has a unique ability to reduce appetite and therefore your overall caloric intake too. Studies show high protein diets may also reduce obsessive thoughts about food by 60% and cut desire for late-night snacks by half (3, 4). Foods high in protein include meat, seafood, eggs, nuts, legumes (beans) and dairy. Protein is also the muscle-building nutrient, so a high protein diet complements regular exercise. The nutrient-density of meals is even more important for those with hypothyroidism and other autoimmune diseases, where nutrient absorption and deficiency are more common. Emphasis goes to green leafy vegetables, mushrooms and cruciferous vegetables like broccoli, cauliflower and cabbage. Veggies are also our greatest source of fiber, a nutrient that feeds the healthy bacteria in our gut. Studies show that long-term low fibre intake will completely throw out the balance of your gut bacteria; the effects on the gut health of mice was irreversible (5). Fiber supplements are also an option if you want to be extra sure you are meeting your requirements. As a general guide, the protein portion of your meal should be the size of your palm, and salad/vegetables the size of your hand. This would leave about 1/4 or less of your plate for carbs (such as rice or potato or pasta). 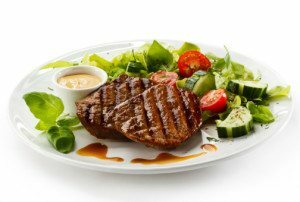 Summary: Protein foods and vegetables should make up the majority of your plate. They are generally the most filling and/or nutrient-dense foods per calorie. 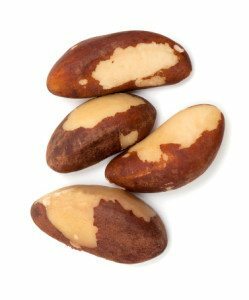 Selenium and zinc are two nutrients directly involved in thyroid function. 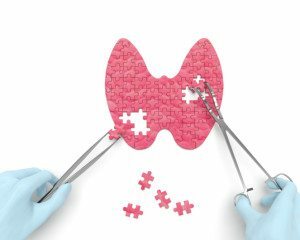 It’s critical that a diet for hypothyroidism contains adequate quantities in order to optimise thyroid hormone production and metabolism. Selenium is an essential mineral that helps the body to recycle iodine. That’s the reason the thyroid has the highest selenium content (per gram of tissue) of all our organs (6). Zinc is an essential mineral required to regulate Thyroid Stimulating Hormone (TSH). In fact, the metabolism of zinc and thyroid hormones are closely interlinked, which is why a deficiency can lead to alopecia (hair loss) (7). Iodine is also important for thyroid health, but in reality insufficient iodine levels that can harm the thyroid is extremely rare in developed countries (9). You’re much better off focusing on selenium and zinc-rich foods, many of which contain iodine anyways. Summary: Consuming a diet naturally rich in selenium and zinc is critical for maintaining a healthy thyroid and metabolism. This is true, especially when your metabolism is slower than normal. That’s why this article places so much emphasis on dietary changes. However, if you want to kick-start your weight loss then regular exercise is the best way to do it. Weight loss ultimately comes down to expending more energy (calories) than you consume. Although it’s much more complex than “eat less, move more” (there are many biological factors to consider), being active helps to burn additional calories. It also improves aspects of health that even perfect nutrition can’t provide, such as strength and mobility. You don’t have to put yourself through miserable high-intensity workouts either. Research shows that low-intensity exercise that lasts longer – such as regular long walks – are just as effective for weight loss, especially if you are just starting out (10). 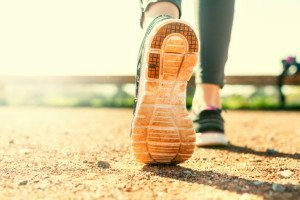 A general guideline is to walk for at least 60 minutes or 10,000 steps on most days. Regularly lifting weights (or bodyweight exercises) is also highly beneficial, especially if mobility is an issue for you. In fact, it’s equally as important as cardio and we should be doing both where possible. Known as resistance exercise, it still helps burns additional calories, but with the added benefit of building lean muscle. The more muscle you have, the faster your metabolism and the less likely you are to fall ill (11). There are numerous resistance exercise programs on Youtube for beginners, and you can do it all at home if you invest in a pair of dumbbells or even one kettle bell. Summary: Regular exercise helps to kick-start weight loss and speed up the entire process. It also improves your strength, mobility and metabolic health. If mobility is a problem for you, lifting weights or bodyweight exercises are a fantastic alternative. This step is only for those with Hashimoto’s or another autoimmune disease, and only recommended if you already consistently follow steps 1 to 5 but are still very overweight. The Autoimmune Protocol (AIP) is an elimination diet that temporarily cuts out numerous food groups including dairy, grains, nuts and seeds, legumes, nightshade vegetables and more. It is said to have emerged from the Paleo movement (and sometimes referred to as Autoimmune Paleo), but to describe it as Paleo seems too basic. The AIP goes by the premise that certain food chemicals and compounds cause low-grade inflammation in the gut of individuals with an autoimmune disease (in this case Hashimoto’s disease). Low-grade inflammation appears to be a driving factor behind many modern health conditions, including autoimmune diseases, metabolic disorder and obesity too (12). By removing the everyday trigger foods in your diet, inflammation subsides giving your body the opportunity to recover and “reset”; known medically as remission. This is what occurs in celiac disease patients when they remove gluten from the diet, or most IBS patients following a low FODMAP diet. I’ll admit I was highly sceptical of this theory at first; researchers in the area of rheumatology/immunology rarely do randomised trials on elimination diets (the only way to prove “cause and effect”). That means we still cannot reliably say what foods influence autoimmune diseases and their symptoms (nor to what extent). Does it help because you cut out specific trigger food components? Or because such restriction inadvertently forces you to eat healthier consistently? Or is it a combination of both? 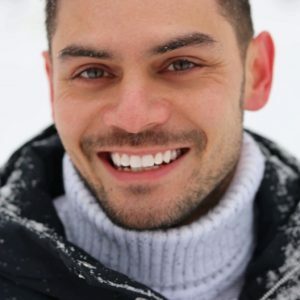 It’s hard to say, but we cannot ignore the abundance of non-trial and anecdotal evidence (personal testimonial) that indicate AIP helps with a variety of symptoms. Although only temporary, elimination diets like AIP are highly restrictive and can get complicated if you take medications for other medical conditions or are at risk of nutrient deficiencies. It’s fundamental you speak with your doctor before beginning. Summary: Trialling the Autoimmune Protocol is an option if you have Hashimoto’s disease and have found steps 1 to 5 are no help. It may help with weight loss given its (theoretical) influence on inflammation and its highly restrictive nature. Prioritise sleep: Alongside poor diet and exercise, short sleep duration is one of the strongest risk factors for obesity. Good quality sleep is fundamental for weight loss. Thyroid support supplements: Anecdotal reports suggest supplements can give you more energy, at least for the first few months of use. But they’re likely unnecessary if you regularly eat nutritious foods. Use smaller plates and small spoons: Studies show the bigger the plate and the bigger the cutlery, the more calories we consume (13). This proven phenomenon is called the Delbouef illusion. Plate your meals first: Instead of putting all the prepared food at the table (like a buffet), plate your meal first and then sit down. You are much less likely to go for a second (or third) round. Drink lots of water: Keep a water bottle on hand wherever you go. Research suggests the more water we drink before meals, the fewer calories we eat overall (14). Be mindful: Mindful eating is about becoming more aware of your experiences, physical cues and feelings about food. It is based on a form of meditation called mindfulness. Thank you for that helped me. I am so tired and I have an 84 year Mom with dementia that adds to the tiredness. Some times I’m too tired to even take care of myself but I make myself because I know it needs to be done. 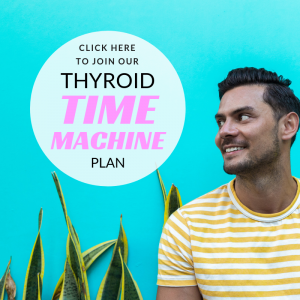 Hi I had a total thyroidectomy at the age of 31 after I had a multi nodular goitre, I always remained between 55-58kg however since I started going through menopause two and a half years ago I have gained a whopping 20kg. I have always been an active person, power walking, swimming gardening and active running after four children and now grandchildren. Since the weight gain, I have trouble sleeping, snore and just feel yuck! no energy, dry skin, hair, libido is an all time low!! I have tried all sorts of diets, but as the weightloss is very slow I give up and struggle to be motivated. Is there a diet which would work for my non existent thyroid and menopause? I’ve had Hypothyroidism most of my life, I don’t have many symptoms beside having an extremely hard time lossing weight. I’m very active ( I do weight training and I’m a runner ) I work with a Trainner and follow a specific diet ( I eat very clean ) I’m currentlt taking levothyroxine 125mg and altough I follow a healthy and fit life style i find it imposible to loose weight. i gain muscle pretty easily but I want to lean out and I’m becoming very frustrates . Any tips? Hi Denisse, doing all that without being in a calorie deficit would prevent you from losing weight. The first thing to make sure is, are you in a calorie deficit? So I’ve been hypo for almost 15 years now. To go from a very slim body to gaining weight without reason was very depressing. My advise to anyone diagnosed with thyroid problems is find and Endocrinologist. Don’t waist your time with regular doctors, they don’t have the training to really treat something like this. It will only leads to frustration. So after a few years of frustration I found my Endo. Things started to change, he’s very dedicated and willing to help me feel better. Through the years my dose has been adjusted, now I’m on levo 200, and I’m going to do some blood work soon. I don’t think that dose is working anymore. Last year after a lot of work and long process I had lost 30 lbs. Then Dr decided to change me to Armour. I gained all the weight back. It’s very frustrating to say the least. Another advice is never stop or run out of or meds. Even a few days without will impact your weight. I’ve made that mistake a few times. Also find the right those of med that works for you, don’t be afraid to bump it up. Only then with diet and exercise you will see results. That has been my experience. Thanks for this forum it’s been great to find out I’m not alone! I have underactive thyroid and gained two stones since had it, even though I exercise. Plus getting older as well and coming into menopause only adds to it all. I have had vitamin deficiencies from it such as B12/6 iron levels, low vit D levels etc. I am on thyroxine and think most are on this one. The gps are not specialists so can only offer certain things. I also have hypertension and arthritus and back problems. I have dropped down my calories intake to see if that works. Years ago I could lose weight easily without even trying, its not the case anymore.